In order to keep you up-to-date on the latest status of the appointment, various notifications methods may be configured. You can receive Emails, Push Notifications, and/or Text Messages(SMS). 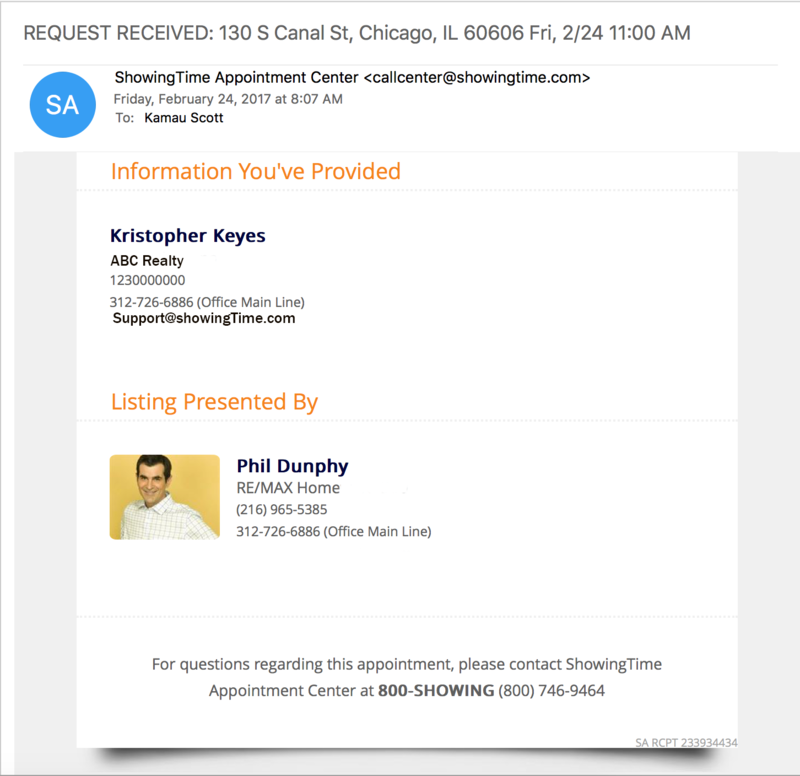 Emails have several features for you, your sellers, and your buyers which we will discuss below. You may want to provide a printed copy of the tour to your buyers ahead of time. You can use this for tracking mileage, coordinating stops, or even to help jog your memory for feedback. 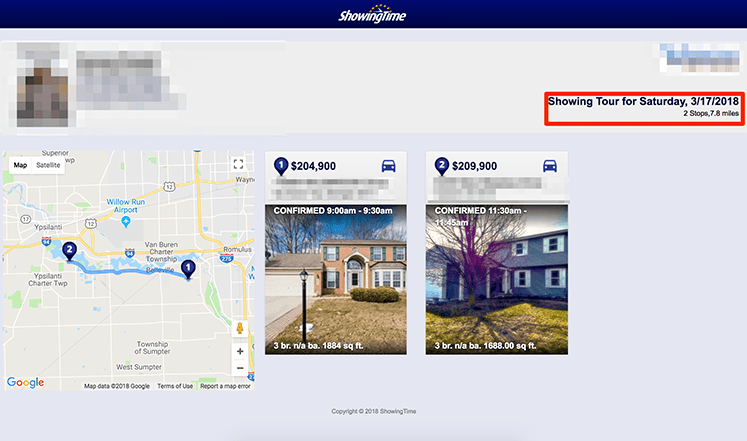 Seeing the listing or even taking notes in real time on this sheet may allow you provide details to help sellers in the long run. The mileage will be listed near the top, and you can include or hide the directions and images. You can print out your tour information and see the mileage you will be traveling. On the top of the Confirmation emails, you will see a link to access a printer-friendly version. This version will condense the information you need to a single page. Some emails may contain quick authentication links which provide you with a one-click solution to log into ShowingTime. ShowingTime recommends that you DO NOT forward this email as it provides any recipient an easy way to log into your account. Your email client may have different configuration options. Using the print dialog from your browser may enable different settings. The Address of the listing, including the Price, Status of the Listing, and MLS Number. 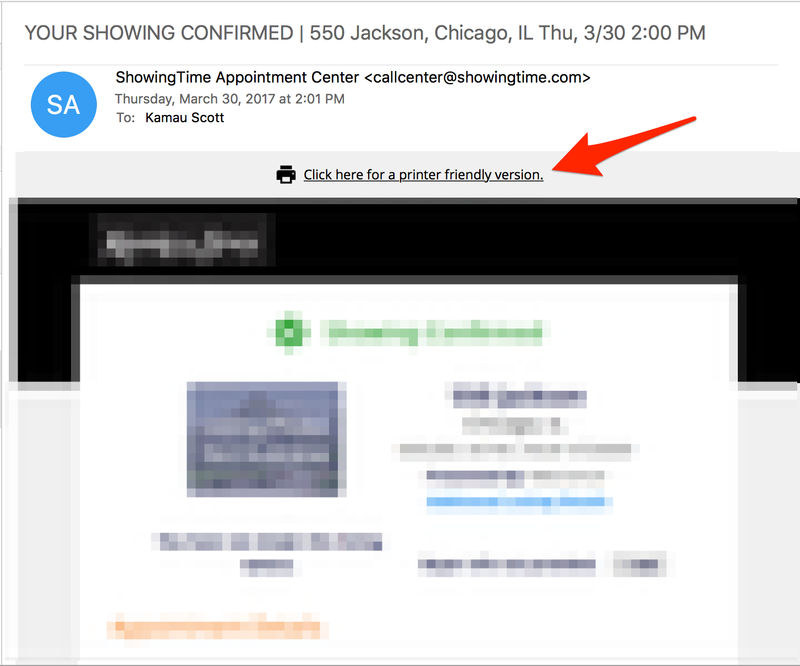 Please Note: You may need to add ShowingTime to your Email Clients address book, or set rules to not mark these emails as junk or spam. The footer of the email will contain a link so that you can update your notification preferences. 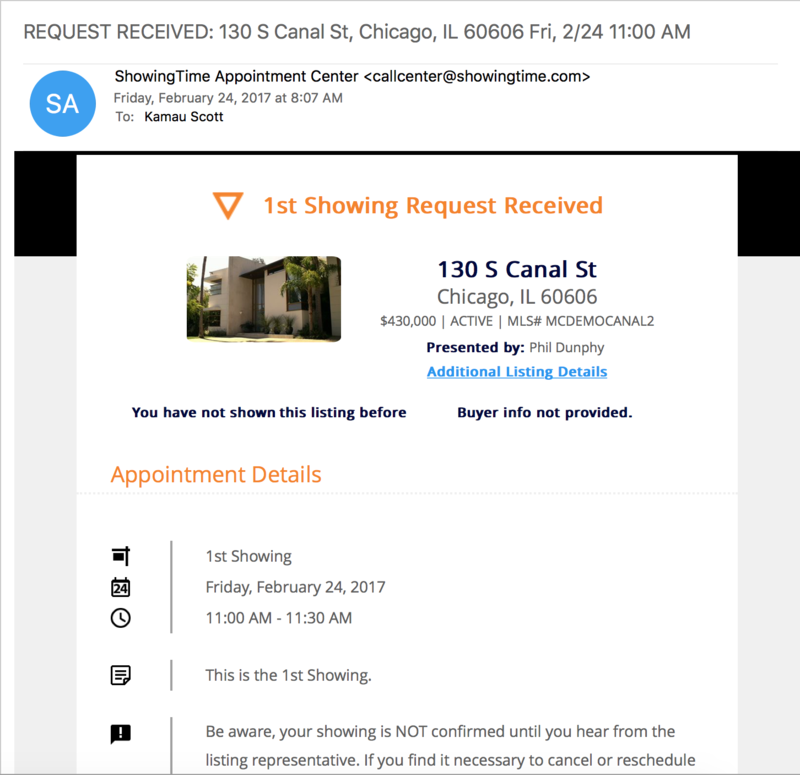 You may need to allow your email client to accept pictures to see the Listing Photos. Each device (desktop or mobile) may have different settings.